What there seems to be in Ireland, thus, is a drinking population, certainly among the young (meaning under 35, I think) that is increasingly aware of the existence of this thing called “craft beer” and increasingly able to find it in a wider and wider variety of forms, but pretty much unused to seeing handpumps in operation and equally unused to drinking beer as delivered from a handpump: softly carbonated rather than sodawater-fizzy, and cellar-cool rather than chilled. Now, we may see the “Hong Kong effect” here, where young Hongkongers went abroad to study, became exposed to great craft beer in places like the United States, and came home to HK to demand the same exciting range of brews they had found in New York, Washington and San Francisco. Perhaps enough young Irish people have now crossed the Irish Sea and tried cask ale in Britain that their throats are desperate for it and the crowds will be pushing down the doors of the Three Tun pub in Blackrock when it opens on Tuesday, eager for a drop from the handpump. But I’ve now been in Dublin twice in the past two months, and despite seeing at least one “craft” beer on sale in many bars, there seems zero evidence of huge untapped (pun semi-intended) interest for cask ale.. The pub won’t be selling draught Guinness, doubtless because Guinness charges too much, but it will have the two Cork stouts, Beamish and Murphy’s, and also a line-up of Irish craft brewers. Among the local beers on sale will be Tom Crean’s Irish Lager from the Dingle Brewing Company, Rebel Red from the Molson Coors-owned microbrewer Franciscan Well in Cork, and beers from Eight Degrees Brewing in Mitchelstown, County Cork, including Howling Gale, Knockmealdown Porter and Barefoot Bohemian Pilsner. I was in Dublin last week for the European Beer Bloggers’ Conference, an excellent event of which more later, and the general feeling among Irish brewers and commentators at the conference seemed to be that the Irish beer scene is still a long way from the sort of mature market that the UK represents in terms of consumer awareness and choice. Dean McGuinness of Premier Beers, who tweets as Beer Messiah, said craft beer in Ireland was still “in its adolescence”, and in the same position as craft beer was in the United States was in the early 1990s. Recalling my own visit to California in the early 1990s, I’d say it was still not as good as that: even in small towns in Northern California 20 years ago you could find great craft beer bars. I don’t believe Ireland has reached that stage yet. But it’s certainly far better than it was: as Shane Long, founder of Franciscan Well, remarked, when he started out brewing in 1998, the Irish craft beer scene was “a barren wasteland”. 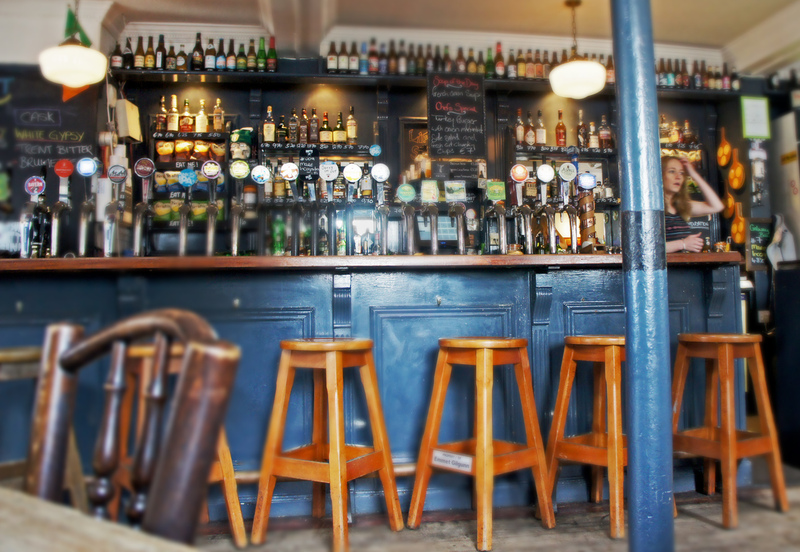 While Ireland has been seeing the same trend towards drinking at home rather than in a bar that the UK has, Irish people are still rather more likely to down their pints down the pub instead of behind their own front door than the British are. So it makes sense for Wetherspoon to move into the Irish market, in terms of potential customers: each new Irish ‘Spoons will have more pub-goers in a given radius than any new UK ‘Spoons. The Three Tun, which is costing £1.9m to develop, on top of the £1.27m it cost to buy the site in the first place, is only the first of what are likely to be many JDW pubs in the Republic: it is currently spending another £1.2m doing up the former Newport Cafe site in Cork, it has its eye on the 40 Foot, a pub in Dun Laoghaire, just south of Blackrock, and the company has claimed that it could open between 30 and 50 pubs in the Republic over the coming decade. Northern Ireland has nine Wetherspoon pubs, of which a remarkable eight are in the 2014 Good Beer Guide. However, the biggest number of handpumps in any one seems to be the 10 in the Diamond in Derry, while the Bridge House in Belfast, the largest cask ale pub in the province, only has eight handpumps. So it looks as if when it opens this Tuesday, the Three Tun will have more handpumps that anywhere else in the whole island. Will they all be still dispensing beer in a year’s time? I suspect we’ll see the craft keg taps doing much better business than the handpumps.The problem with cask ale, of course, is that it is completely dependent on throughput. You can’t have it on as a low-volume niche product. I guess we will find out this month how 12 hand pumps in one venue will do. I just came from L.Mulligan Grocer where they have six. 4 were on while 2 sat empty. The average Irish person isn’t ready. Existing cask drinkers are. I’d be curious to see how the average Irish drinker would do if forced to drink cask? Would they put up with it and go back to normal, or become the converted, or reverted perhaps? Craft keg on the other hand, we see a lot of conversion. The problem is, the Irish are incredibly brand loyal. They drink what tv tells them to drink. I think Ireland is an interesting developement. Could we see Witherspoons handpumps in the USA? No. Because “Witherspoons” is not a thing that actually exists. 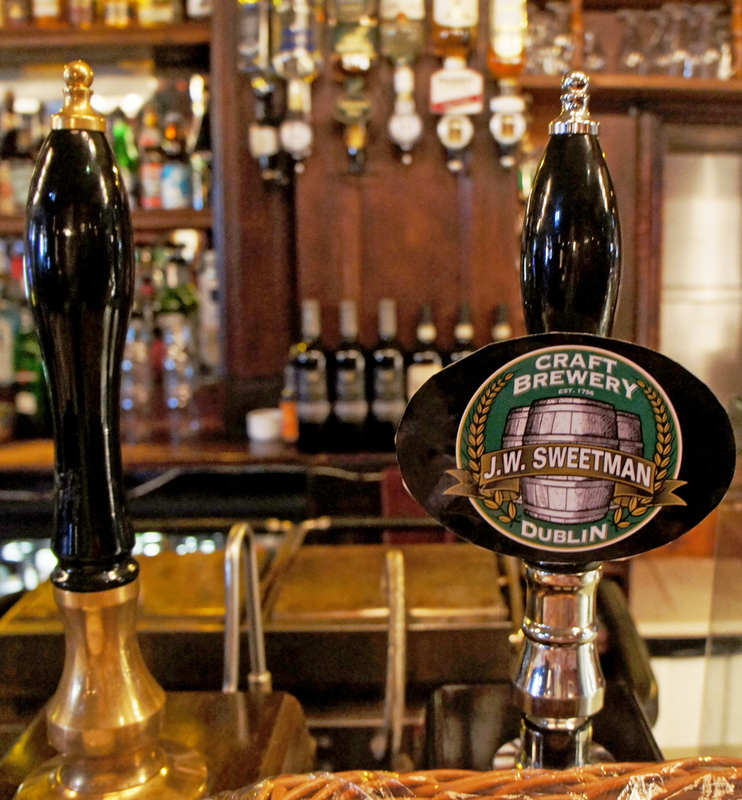 Cask beer at the JDW pubs in Ireland will have a leg-up because they’re following the British practice of pricing it lower than the keg stuff, lower than even famously-cheap Beamish. Most Irish craft beer pubs have no qualms at all about pricing cask higher than keg, because it’s an exotic novelty for a specialist clientèle. Is it usual practice for a pint to be more expensive from cask than keg in Ireland? I can’t say I’ve been to many places that have served it, but the Franciscan Well always sell it for a euro cheaper. The Porterhouse (when they used to sell it – they seemed to have stopped that, and the handpump always sits empty) and the Hub (I’m not sure if they still sell it, either – it was only ever periodically) also sell/sold cask for a small bit cheaper than its kegged counterpart. I’ve heard of €2 cask pints in The Abbot’s as well. It could be just a Dublin thing: more than once I’ve seen the same beer, cask and keg, in the Bull & Castle with the former a whole euro dearer than the latter. Shame about Porterhouse Cork. I’ve always really enjoyed drinking there but it doesn’t seem to be as popular as it deserves to be. 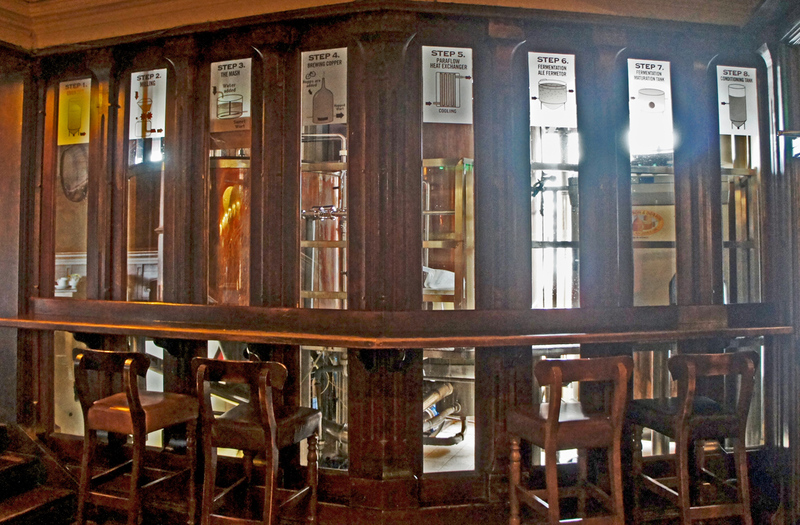 The Beer Nut is spot on – Well over 5 euros for cask in the couple of bars that do it in Dublin. Spoon’s will draw them in by price – you knew know Dublin might grow a taste for non-SUPERCHILLED, fizzy fare! I’d say it’ll always be a minority interest. Just like in the UK, in fact. I don’t get the preoccupation with cask. I have had very good and very bad pints of cask in various locations in the UK. I try it when I can here in Ireland with mixed results, it suits some beer styles more than others. I’m not too pushed about the dispense method as long as the quality of beer is good. Indeed. Who gives a toss? A small group of card-carrying no-hopers do, but they’re quite literally dying out. Most cask beer is pretty ropy, lifeless 3.x% dishwater even if you do find it in good nick, which you probably won’t.